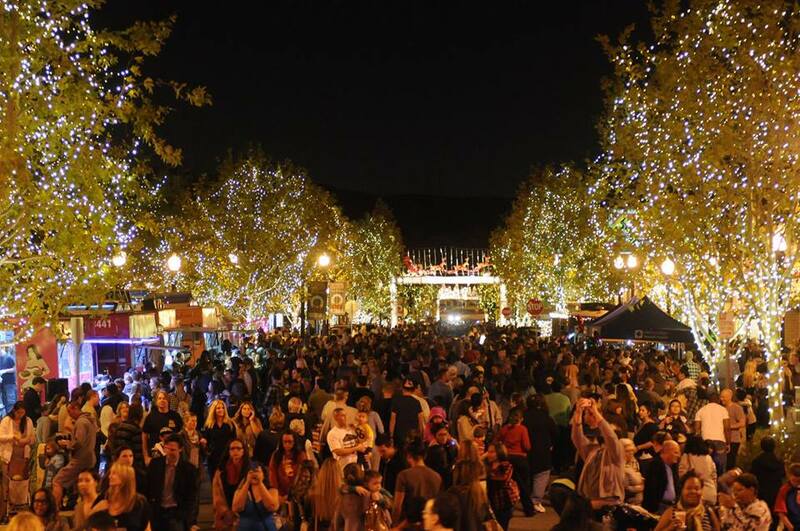 LIGHT UP MAIN STREET CELEBRATION Set to Kick off the Holiday Season in old town Newhall, Nov. 19, 6-9 p.m.
Newhall, Calif. – The City of Santa Clarita’s annual Light Up Main Street celebration, happening Saturday, November 19 from 6:00 p.m. to 9:00 p.m., is expected to bring thousands to Old Town Newhall. Beginning at 2:00 p.m. on Saturday, November 19, 2016, a street closure will be in effect on Lyons Avenue between Railroad Avenue and Walnut Street. Beginning at 4:00 p.m., an additional closure will be in effect on Main Street between Lyons Avenue and Market Street for the 2016 Light Up Main Street event. The streets are expected to be reopened at 10:00 p.m. on Saturday, November 19. Detours will be provided for both Lyons Avenue and Railroad Avenue. On street parking in Old Town Newhall will be available, in addition to the Metrolink Station, Old Town Newhall Library and the parking lot in and around Main Street. A free shuttle will begin at 5:00 p.m. from the Newhall Community Center to the event. Residents planning to attend the Old Town Newhall Sip N’ Shop on November 19 should utilize Newhall Avenue and Railroad Avenue to access Old Town Newhall. The annual Sip N’ Shop event will take place from 3:00 p.m. to 6:00 p.m. More information about the event, including participating merchants, can be found on the event’s Facebook page, located at Facebook.com/OldTownSipNShop. For additional details or questions about the Light Up Main celebration, please contact the City’s Communications office at (661) 255-4939 or visit OldTownNewhall.com. Newhall, Calif. – Kick start the holiday season in Old Town Newhall at the City’s annual celebration, Light Up Main Street, sponsored by Valencia Auto Center, Re/Max of Valencia, Henry Mayo Newhall Hospital and Snow Orthodontics. On November 19, beginning at 6:00 p.m., members of the community can enjoy festive holiday performances from local groups including The Master’s Chorale, Hart High School Choir, Canyon Theatre Guild and more. At 7:00 p.m. the Santa Clarita City Council will officially turn on the lights to illuminate overhead displays on Main Street, thousands of twinkling lights and a 23-foot-tall Christmas tree that will dazzle and amaze. In addition to the lights and entertainment, delicious sweet and savory food trucks will line Main Street offering savory and sweet options, and Santa and Mrs. Claus will be available for photos. Prior to the start of Light Up Main Street, residents are invited to start holiday shopping early at the annual Old Town Newhall Sip N’ Shop. From 3:00 p.m. to 6:00 p.m., the merchants of Old Town Newhall will offer promotions and specials, simplifying holiday shopping! Lyons Avenue will be closed beginning at 2:00 p.m. until midnight between Railroad Avenue and Walnut Street. Main Street will be closed starting at 4:00 p.m. until midnight between Lyons Avenue and Market Street. Both Walnut Street and Market Street will remain open to through traffic. Detours will be made available. Free public parking will be available at the Old Town Newhall Library, the Newhall Community Center and several lots on and around Main Street. A free shuttle service from Newhall Community Center to Light Up Main Street will continuously be available from 5:00 p.m. to 9:00 p.m. to allow for easy access to the event. The Newhall Community Center is located at 22421 Market Street. To find more information about Light Up Main Street, visit OldTownNewhall.com.